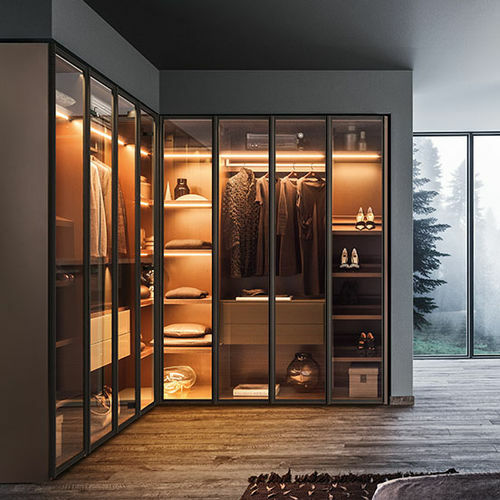 Just as if they were arranged in a personal boutique, your objects and garments must be enhanced and exhibited with elegance and order. The glass doors, defined by a Gunmetal Grey or metallized brown frame, set off and add a finishing touch to arrangements. 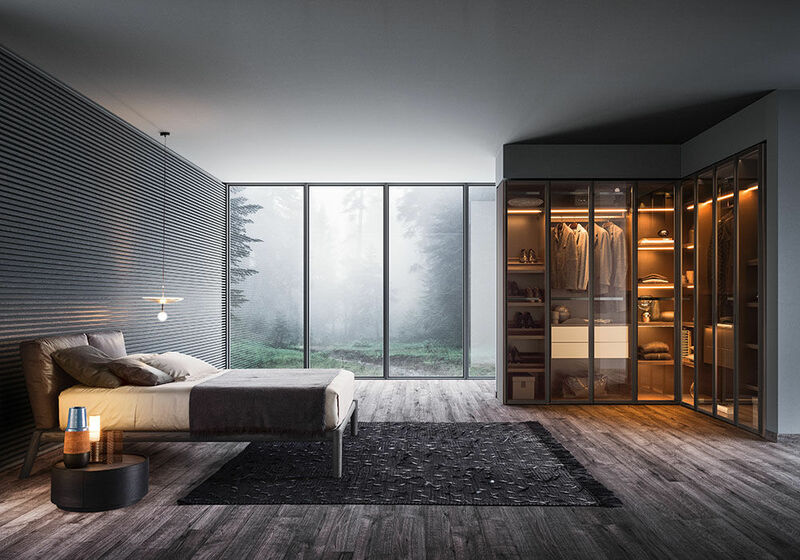 The visible interior accessories show off their great ability to efficiently organise spaces with style. 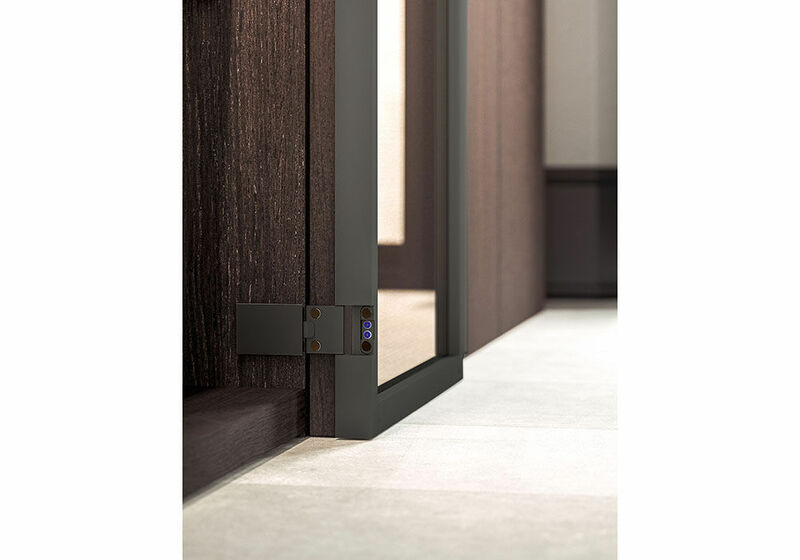 The hinged doors come with special pivot hinges that can open at a 180° angle.